What Does Modular Really Mean? 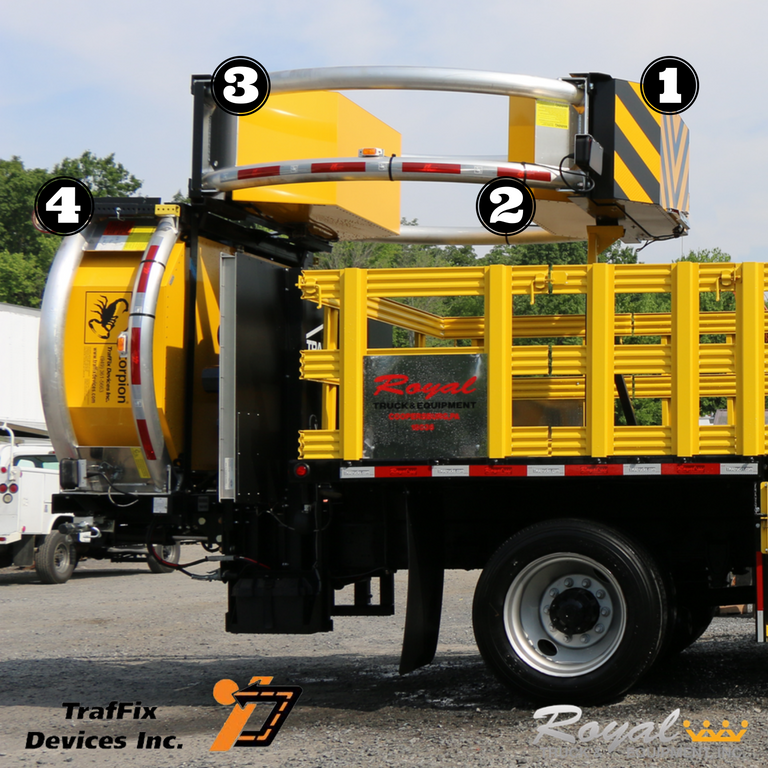 Without a doubt, a Truck Mounted Attenuator (TMA) saves lives. A shadow vehicle equipped with a TMA not only protects construction crew in the work zone, it also protects the motorist of an errant vehicle. The grave importance of this piece of equipments purpose means you don’t want to use one that’s just ‘good enough.’ We want Scorpions in our work zones! Scorpion® TMAs, that is. Why? Because it’s modular construction makes it the safest and most cost effective TMA on the market. Here are 3 reasons why this design trumps all; Check out what modular means to you! Merriam-Webster defines modular as: something built or organized in self-contained units or sections. Other TMAs are made of one rectangular shaped unit, while a Scorpion TMA is made of multiple sections. This is important for safety because when it comes to impact absorption, four units are better than one! Its low profile and open tubular design also increases rear visibility and minimizes wind resistance and drag, so you can drive at freeway speeds safely. Less drag also means better gas mileage. The Scorpion TMA’s modular system allows for replacements of all parts. Other designs require replacement of the entire unit. That’s a larger price tag! If a vehicle crashes into your Scorpion TMA at a low speed, modules A and B usually require replacement. If the impact is at 45 mph module C will be replaced as well. 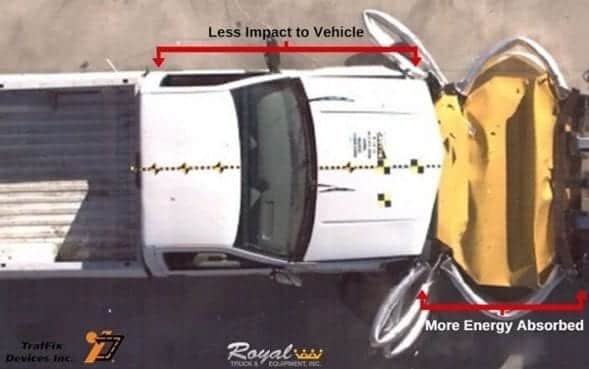 Depending on the speed of the impact damaged parts could be somewhere in between. Most important is to know that you can easily get replacement parts and swap the damaged ones out. After recertification of your TMA, you’re good to go! And all you had to do was replace parts, instead of replacing the entire TMA. Not to mention minimal to no damage to your truck!